If you’ve scrolled through your Facebook feed this week, you’ve probably seen a lot posts surrounding a particular viral commercial (hint, they sell razors). The ad in question is stirring up a lot of talk, but it’s certainly not the first time big brands have taken a stance on political or social issues. But we’ll come back to this. 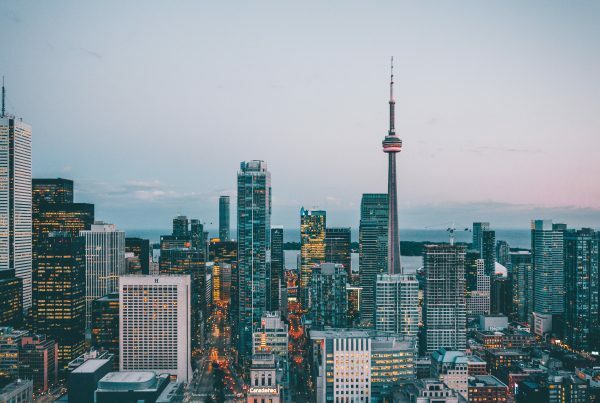 This ‘woke’ marketing strategy is becoming ever more prevalent and companies across all industries are making powerful and sometimes risqué statements in an attempt to appeal to their demographic’s belief system. In fact, consumers are more likely to engage with brands they feel share their social and political beliefs. But doing so can be polarizing, appealing to some of your market and offending the rest. So, when does it pay off? Signature Video Group takes a look at five times brands took a bold stance and how it worked out for them. After quarterback Colin Kaepernick notoriously knelt during the National Anthem at an NFL game in 2016, he became a polarizing force in the world of sports and a leading advocate for racial injustice in America. After the initial dust had settled, Nike made the bold move of choosing Kaepernick to be the face of their new ad campaign. The campaign marks the 30th anniversary of the company’s notorious “Just Do It” slogan. In the campaign, Kaepernick is not a spokesperson for racial injustice. He’s positioned as a mentor and an inspiration, urging people to “believe in something. Even if it means sacrificing everything”. The message is a clear call-out to Kaepernick’s protest, but the brand is subtle with their alignment. Nike is well aware that the image of Kaepernick is now synonymous with rebellion, and that is the brand spirit Nike is after. It should be noted that Kaepernick’s relationship with Nike did not begin following the “Take a Knee” protests. The NFL star has allegedly been on the company’s payroll since 2011. And following the controversy and his departure from the NFL, a debate took place at Nike headquarters that almost resulted in cutting ties with Kaepernick. 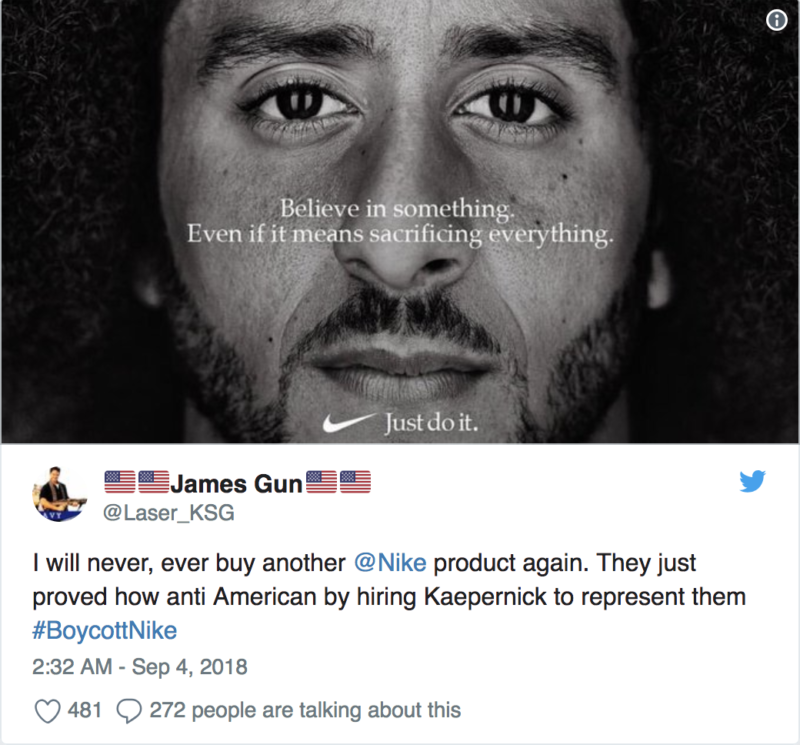 Following the launch of the ad, social media was flooded with backlash including viral hashtags like #BoycottNike and #JustBurnIt. The latter inspired critics to post videos of themselves literally burning Nike products in protest of the brand’s alignment with Kaepernick. Immediately following the release of the campaign, Nike’s shares dropped nearly 4%. But there are always two sides to the story. By the end of the week, stocks had rebounded and closed at an all-time high of $83.47. This was followed by a 31% spike in sales and as Nike CEO Mark Parker reported, “record engagement with the brand” (and over 80 million views). A bold move that paid off big time. Pepsi was another brand whose use of star power brought controversy last year. Unlike Kaepernick, the star itself was not the hot button issue, but the strange insertion of her into a world that she perhaps did not belong in. Unless you were living under a rock in the Spring of 2017, you’re well aware of the spot in question. The two-and-a-half minute ad features mega influencer Kendall Jenner, who boldly ditches her photoshoot to join an ambiguous protest in the streets. The peaceful protest, which Jenner is now in the middle of, is confronted by a wall of police. Luckily, Kendall is armed with the ultimate olive branch: a can of Pepsi. She hands it to a police officer as the crowd goes wild. The ad is in direct response to the Black Lives Matter movement and the uptick in social justice protest of the past 5 years. 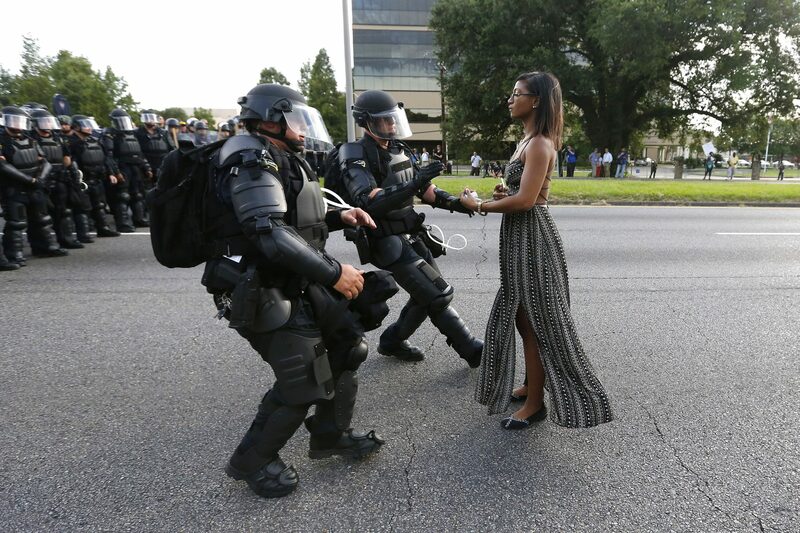 The ad seems to specifically reference a now famous photo of protester Ieshia Evans, standing calmly in front of a cluster of heavily armoured police at last year’s BLM protests in Baton Rouge. The ad immediately fell under quick scrutiny. The brand was accused of trivializing demonstrations addressing social justice issues, suggesting that the relationship between these groups (specifically BLM) and police could be improved by kindness and better cooperation from the former. Within 48 hours, the video got 1.6 million views on the official brand channel and double the number of dislikes to likes. Tweets from around the globe surfaced mocking the ad, including one from Bernice King, daughter of Martin Luther King Jr., which included a photo of King confronting a lineup of police and the line “If only Daddy would have known about the power of Pepsi”. Unsurprisingly, the ad was pulled after 48 hours and PepsiCo released an apology stating that they were “trying to project a global a message of unity, peace and understanding. Unfortunately, this is not a one-off experience for PepsiCo. The brand also pulled a Mountain Dew ad in 2013 after being accused of portraying racial stereotypes and making light of violence against women. Total fail, but lesson learned. An unlikely advocate, fast food chain Burger King recently made its own stance on a social issue. 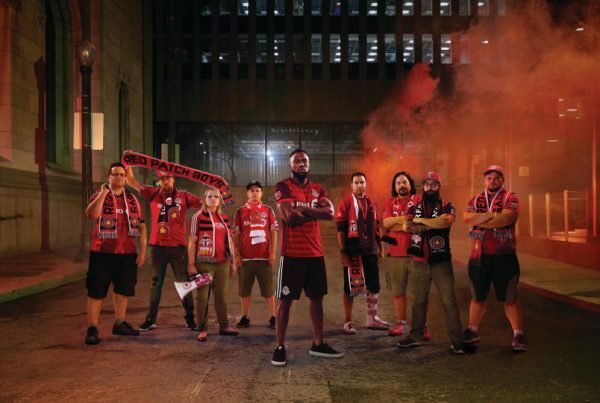 In July of 2018, the brand released a promotional video shedding light on “pink tax”. This term was coined to describe the additional cost of everyday products geared towards women versus those towards men. On average, women will pay 42% more for gendered products (often packaged in pink) like deodorant, razors, bath products and more. In the video, female Burger King patrons were charged extra for “Chick Fries”, which were the restaurant’s new Chicken Fries but sold in a pink box. Men were sold regular chicken fries for $1.69 where women were sold these “Chick Fries” for $3.09. What’s most interesting about this campaign is that the video ends with a very clear and active call to action. The final slate asks viewers to support the pink tax repeal act by visiting callmycongress.com. This campaign quickly caught the attention of a number of respected publications like Ad Week, Entrepreneur and Ad Age and pundits overall had positive feedback about that campaign. However, the original Youtube post from Burger King has only 657 likes compared to 15,000 likes and the company has since marked it as “unlisted” on their channel. Burger King is seemingly not shy about taking a stance on social issues. Earlier in 2018, the company created an ad explaining net neutrality, another very hot topic of the time. Burger King let this ad fade into oblivion too soon, so the full impact potential was never seen. The next spot on our list never even made it to its intended destination, the 2017 Superbowl. 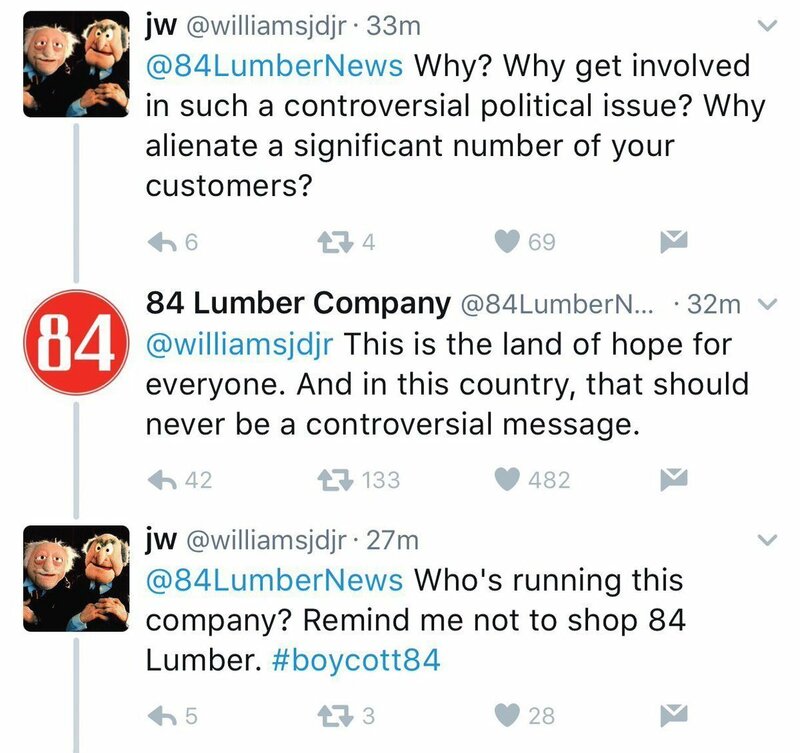 The ad by 84 Lumber was deemed too controversial to air on FOX during the sports broadcast. Despite that, the video still got a lot of buzz online. The nearly 6-minute long short film tells the story of a Mexican mother and daughter embarking on a journey to cross into the USA. The pair travel for what must be days, eventually arriving at a colossal wall not unlike the one proposed by President Trump. Unlike Trump’s wall, this one features a large wooden door that is pushed open, ushering the mother and daughter into their new lives, beyond the border. The key message of the ad was intended to be that the company is one of opportunity, says CEO Maggie Hardy Magerko. Its closing slogan is “The will to succeed is always welcome here”. Trump and wall supporters took to social media to express their distaste for the ad after it was launched online. The company was met with threats of boycott and more. Eventually, ad agency Brunner, 84 Lumber and FOX were able to settle on an alternative edit that was allowed to air. This version featured the same journey, but the scene with the wall was not included. Instead, viewers are asked to visit Journey84.com to see the conclusion. This peaked audience interest so much that the site crashed. Being labelled as risky, controversial or being outright banned clearly has its benefits. The aforementioned viral ad of this week is, of course, Gillette’s latest commercial. “We Believe: The Best A Man Can Get” launched last Sunday and instantly sparked debate surrounding its reflection on manhood in the #MeToo era. 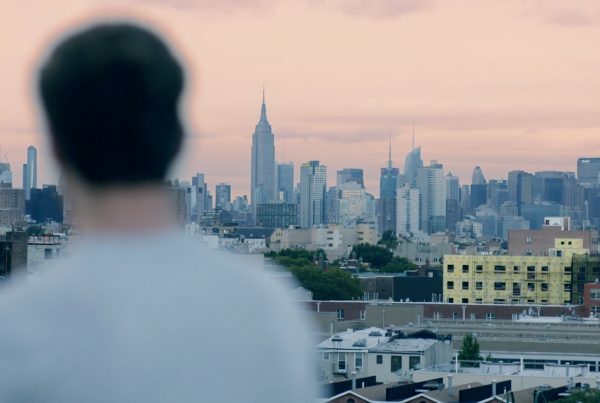 The nearly two minute-long spot shows men and boys of all walks of life. They’re being called “sissies”, they’re watching macho guys on TV objectifying women, “mansplaining”, chanting the old adage “boys will be boys”. 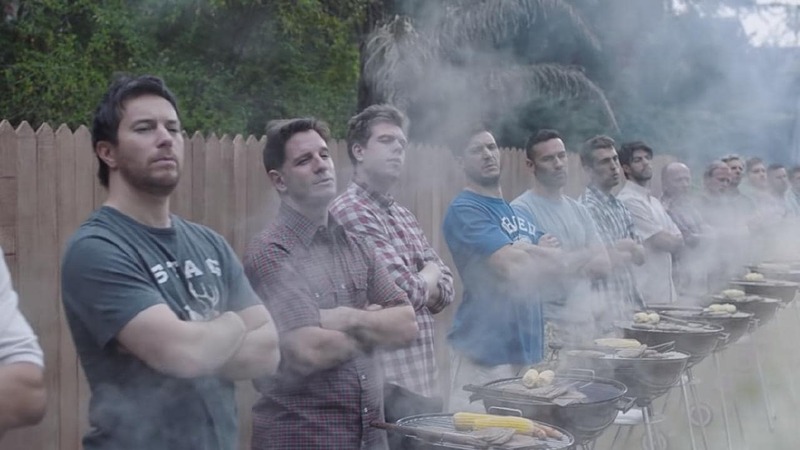 The vignettes each represent a depiction of toxic masculinity that Gillette wants to address. The spot takes a new spin on the company’s 30-year-old slogan “The Best A Man Can Get”, turning it into an introspective question: “Is this the best a man can get?” Halfway through the spot that question is answered. The imagery of misogyny and hyper-masculinity is replaced by that of men “being better”. Men call other men out on their cat calling, news footage plays of Terry Crews asking men to hold each other accountable, a dad shares empowering words with his young daughter. The ad urges men to reflect on their behavior and be strong examples for the “boys of today” who will become “the men of tomorrow”. The key message is that progress has been made, but in Gillette’s words, “some is not enough”. While the full impact of this campaign cannot yet be measured, parent company Proctor & Gamble says Gillette sales are “in-line with pre-campaign levels” and they are calling the campaign a success. But the ad saw a huge amount of backlash of social media. People posted photos of their Gillette razors floating in toilet bowls. Publications from both ends of the political spectrum are calling it toxic and detrimental to men. Others critique the company’s choice to use a female director to tackle men’s issues. A little-known watch brand Égard even released a rebuttal ad, with the message “we see the good in men”. And in fact, the data shows that this ad’s true power may not come from engaging their male audience in a positive way at all. Gillette’s consumer base is 56% men and mostly over the age of 35. While that’s perhaps the audience most likely to respond negatively to this ad, the other 44% of their consumers are more approving. 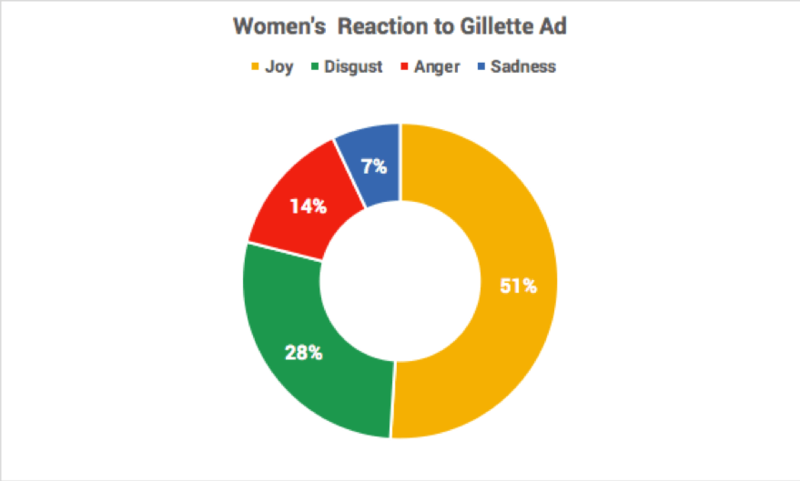 51% of female viewers reported “joy” from viewing the Gillette ad. 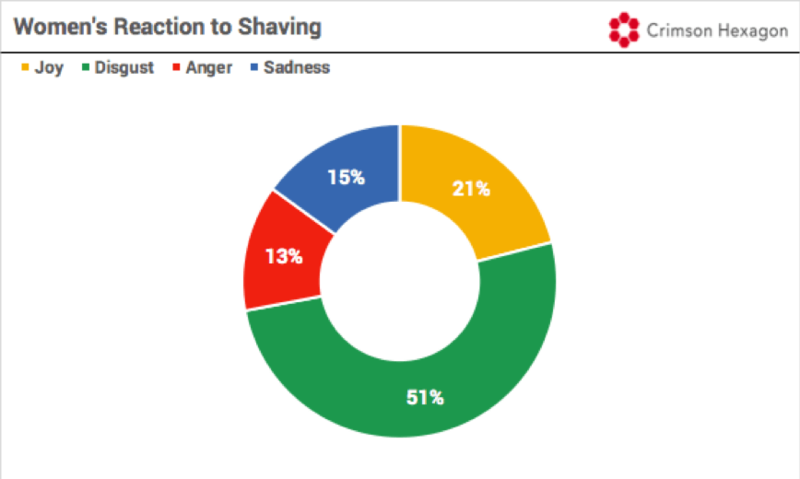 Women also tend to report more negative interactions with the shaving experience, making the women’s razor industry a neglected opportunity. It will be interesting to see if Gillette’s strategy does in fact include expanding its female market and whether this campaign will help them do so. From a sales perspective, it’s hard to tell yet. But from a numbers perspective, it’s a sheer win. Time will tell whether that’s for better or worse.